A spaceship navigates interstellar cosmic dust and plasma clouds in the photograph above— or rather, a U.S. Navy ship sails the sea under a starry sky. It was taken on December 7, and the spacey effects are due to the weather not being clear. 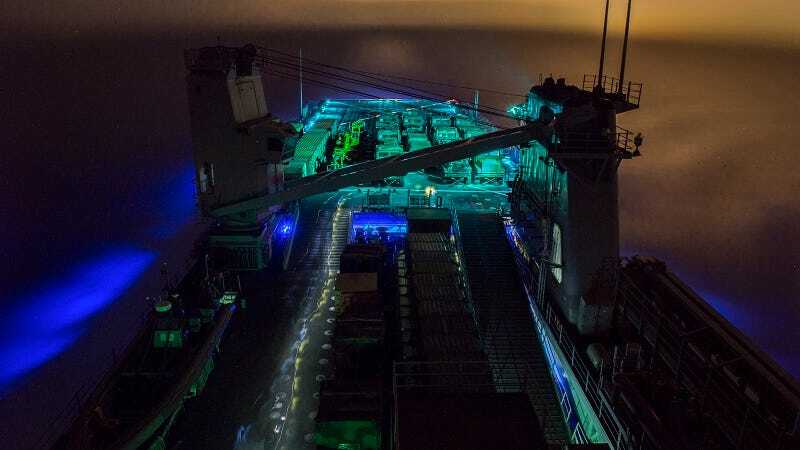 You’re looking at the aft section of the dock landing ship USS Harpers Ferry–a member of Boxer Amphibious Ready Group– as it prepares for night time flight operations off the coast of Southern California.